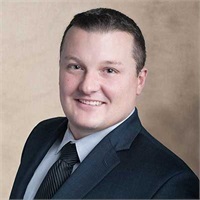 Mark is a graduate of Southern Illinois University at Carbondale where he earned his Bachelor’s Degree in Administration of Justice with a Minor in Political Science. Growing up, he always wanted to help people and always took action. In 2005 he began a career as a Police Officer with the City of McHenry Police Department which he enjoyed for nearly 10 years. “While being a Police Officer was very gratifying and very demanding, I have the support from my family to pursue a career with a significant work-life balance." Mark has always possessed a passion for Finance, Economics, and Doing Well for the Greater Good. Mark began his pursuit to become a financial advisor in 2015, where he was able to help people while spending more quality time his family. Mark joined Alchemy Financial Group, LLC in 2015 and holds his FINRA Series 6, Series 7, Series 63 registrations, held with Cambridge Investment Research, and Series 65 registration, held with Cambridge Investment Research Advisors, Inc.
Mark also has his State Life and Health licenses in IL, SC, and AZ. Mark currently resides in Lakemoor, IL with his lovely wife Tricia and his two sons, Tyler and Dylan. In his free time, Mark enjoys playing hockey, golf, and boating with his family.